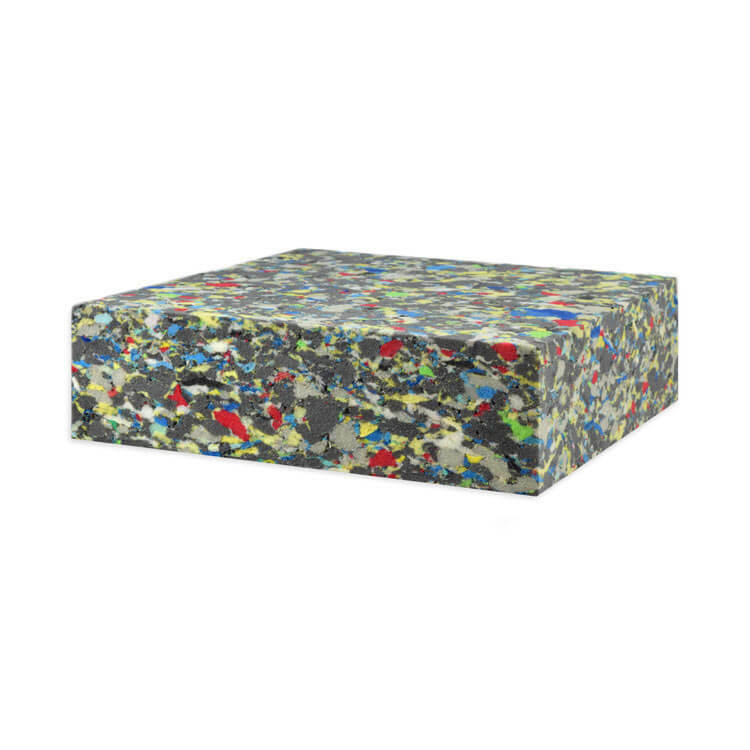 Rebond foam is made from recycled shredded scrap foam with a liquid polyurethane added to bond the scraps together while being compressed into a block. It’s a dense, open cell foam that provides a firm, solid support base and holds its shape well without sacrificing longevity. Rebond foam is popular for a wide range of applications because it’s resilient, lightweight, mildew resistant, and sound absorbent. This versatile foam has remarkable density and ILD (Indentation Load Deflection). The density of rebond foam depends on a few factors, including thickness, but is generally 6 to 8 pounds. This means that 1 cubic foot weighs 6 to 8 pounds. Indentation Load Deflection is a measure of how much weight is needed to make an indentation in the foam. Higher ILD means firmer foam. Rebond foam typically has an ILD of 70 pounds. Comparing these two characteristics to that of a typical bed mattress might help give you an idea of just how firm this foam is. Mattress density is usually about 4 or 5 pounds with an ILD of 20 to 40 pounds. Our rebond foam is available in 24 by 72 inch blocks that are 1, 2, or 3 inches thick. 1 inch thick rebond foam is popular for use in vehicle seats like motorcycles and snowmobiles. The durability of the foam is enough to withstand the person sitting on it as well as the movement and vibrations of the vehicle. It’s also used for bar seats, piano stools, and more. The 2 inch and 3 inch thick foams are often used as cushioning in exercise mats and weight benches. All rebond foam blocks are 24 by 72 inches, but this foam can easily be cut with a serrated or electric knife if you need smaller pieces. Click here to shop Rebond foam. 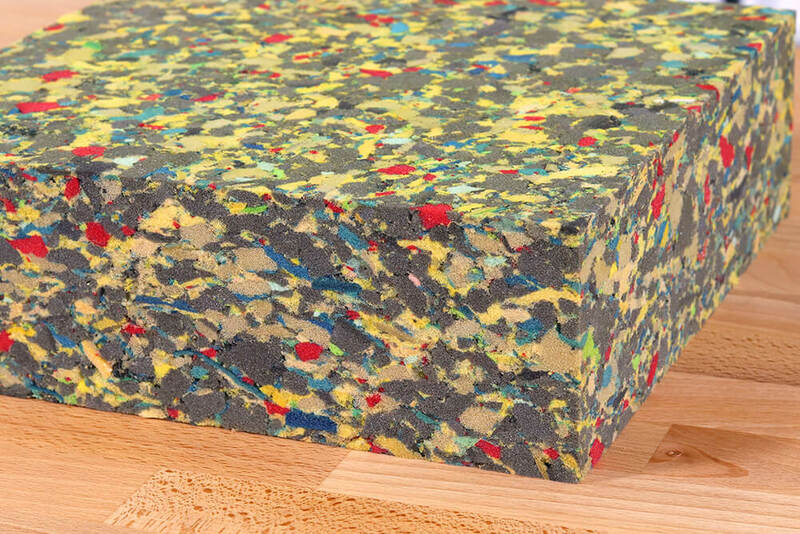 Would the one inch rebond foam be too dense or not good for using on dining room chair seats? Does the rebound foam product come in a loose form? BEST ANSWER: We do not offer it as a loose product.